Dr. Mahlberg obtained one of only two Drug Enforcement Administration (DEA) Schedule 1 research licenses to pursue studies on Cannabis in the United States spanning a period of 33 years from 1970-2003. During that time he accumulated one of the most extensive seed banks in the world with over 200 strains (varieties) of Cannabis from worldwide sources including landrace varieties, which were cultivated in secure greenhouses. The studies are available in over 30 scientific publications on Cannabis. 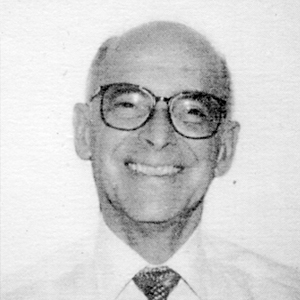 Dr. Mahlberg is a Professor Emeritus of Indiana University and was an active professor in the Botany department of the University until 1994 after which he continued his research on Cannabis and maintained his laboratory until 2003. Dr. Mahlberg received his Ph.D. in Botany from the University of California, Berkeley and his M.S. and B.S. degrees in Botany from the University of Wisconsin, Madison. 39. Hillig, K. W. 2005. Genetic evidence for speciation in Cannabis (Cannabaceae). Gen. Resources and Crop Evol. 52. 161-180. 38. Hillig, K. W., and P. G. Mahlberg. 2004. Chemotaxonomic analysis of cannabinoid variation in Cannabis (Cannabaceae). Amer. Jour. Bot. 91: 966- 975. 37. Mahlberg, P. G., and E. S. Kim. 2004. Accumulation of cannabinoids in the secretory cavity of Cannabis. Jour. lndustr. Hemp 9: 15-36. 36. Kim, E. S., and P. G. Mahlberg. 2003. Secretory vesicle formation in the secretory cavity of glandular trichomes of Cannabis (Cannabaceae). Mol. Cells 15: 387-395. 35. Kim, E. S., and P. G. Mahlberg. 2000. Early development of the secretory cavity of peltate glands in Humulus lupulus L. (Cannabaceae). Mol. Cells 10:487-492. 34. Kim, E. S., and P. G. Mahlberg. 1999. Immunochemical localization of tetrahydrocannabinol (THC) in chemically fixed glandualr trichomes of Cannais (Cannabaceae). 33. Kim, E. S., and P. G. Mahlberg. 1997. Cytochemical localization of cellulase activity associated with secretory cavity formation in glandular trichomes of Cannabis (Cannabaceae). Jour. Plant Biol. 40: 61-66. 32. Kim, E. S., and P. G. Mahlberg. 1997. Plastid development in glandular trichomes of Cannabis (Cannabaceae). Mot. Cells 7: 352-359. 31. Kim, E. S., and P. G. Mahlberg. 1997. lmmunochemical localization of tetrahydrocannabinol (THC) in cryofixed glandular trichomes of Cannabis (Cannabaceae). Amer. J. Bot. 83: 336-342. 30. Kim, E. S., and P. G. Mahlberg. 1995. Glandular cuticle formation in Cannabis (Cannabaceae). Amer. J. Bot. 82: 1207-1214. 29. Hammond, C.T., and P. G. Mahlberg. 1994. Phloroglucinol glucoside as a natural constituent of Cannabis sativa. Phytochemistry 37: 755-756. 28. Mahlberg, P. G. 1993. Laticifers: an historical perspective. Bot. Rev. 59: 1-23. 27. Mahlberg, P. G., and E. S. Kim. 1992. Secretory vesicle formation in glandular trichomes of Cannabis sativa L. (Cannabaceae). Amer. J. Bot. 79:166-173. 26. Mahlberg, P. G., and E. S. Kim. 1991. Cuticle development on glandular trichomes of Cannabis L. (Cannabaceae). Amer. J. Bot. 78:1113-1122. 25. Kim, E. S., and P. G. Mahlberg. 1991. Secretory cavity development of glandular trichome of Cannabis sativa L. (Cannabaceae). Amer. J. Bot. 78:220-229. 24. Hammond, C. T., and P. G. Mahlberg. 1990. Thin-layer chromatographic identification of phenol in the glandular secretory system of Cannabis sativa L. (Cannabaceae). Ind. Acad. Sci. 98:109-116. 23. Turner, J., and P. G. Mahlberg. 1988. In vivo incorporation of labeled precursors into cannabinoids in seedlings of Cannabis sativa L. (Cannabaceae) pp. 263-270. In, G. Chesher, P. Consroe and A. Musty (eds. ), Marihuana. Australian Gov’t. Publ. 22. Vogelmann, A., J. Turner, and P. G. Mahlberg. 1988. Cannabinoid composition in seedlings compared to adult plants of Cannabis sativa. J. Nat. Prod. 51 :1075-1079. 21. Vogelmann, A., J. Turner, and P. G. Mahlberg. 1987. Cannabinoid occurrence in seedlings of Cannabis sativa L.: Quantitation in seedlings of known age and primary leaf length. Bot. Gaz. 148:468-474. 20. Turner, J., P. G. Mahlberg, V. Lanyon, and J. Pleszczynska. 1985. A temporal study of cannabinoid composition in continual clones of Cannabis sativa L. (Cannabaceae). Bot. Gaz. 146:32-38. 19. Vogelmann, A., J. Turner, and P. G. Mahlberg. 1984. Sequential appearence of cannabinoids during seedling development in Cannabis sativa L., pp. 15-22. In, D. J. Harvey (ed. ), Marihunana ’84. Proceedings of the Oxford Symposium on Cannabis. IRL Press, Oxford. 18. Turner, J., and P. G. Mahlberg. 1984. Effects of sample treatment on chromatographic analysis of cannabinoids in Cannabis sativa L. (Cannabaceae). J. Chromatogr. 283:165-171. 17. Turner, J., and P. G. Mahlberg. 1984. Separation of acid and neutral cannabinoids in Cannabis sativa L. using HPLC, pp. 79-88. In: “Biology of Cannabinoids,” W. Dewey, S. Agurell, and A. Willette (eds.). Academic Press, N.Y.
16. Mahlberg, P. G., J. Turner, J. Hemphill, and C. Hammond. 1984. Structure, development and composition of glandular trichomes of Cannabis, pp. 23-51. In: Biology and Chemistry of Plant Trichomes, E. Rodriguez, P. Healey, and I. Mehta (eds.). Pergamon Press, New York. 15. Mahlberg, P. G., and J. Hemphill. 1983. Effect of light quality on cannabinoid composition of Cannabis sativa L. (Cannabaceae). Bot. Gaz. 144:43-48. 14. Turner, J. and P. G. Mahlberg. 1982. Simple high-performance liquid chromatographic method for separating acidic and neutral cannabinoids in Cannabis sativa L. Jour. Chromatogr. 253:295-303. 13. Turner, J., J. Hemphill, and P. G. Mahlberg. 1982. Interrelationships of glandular trichomes and cannabinoid content. II. Developing leaves of Cannabis sativa L. (Cannabaceae). Bull. on Narc. 33:63-71. 12. Furr, M. and P. G. Mahlberg. 1981. Histochemical analyses of unbranched non-articulated laticifers and capitate glandular hairs in Cannabis sativa L. (Cannabaceae). Jour. Nat. Prod. 41 :153-159. 11. Lanyon, V., J. Turner, and P. G. Mahlberg. 1981. Quantitative analysis of cannabinoids in the secretory product from capitate-stalked glands of Cannabis sativa L. (Cannabaceae). Bot. Gaz. 142:316-319. 10. Turner, J., J. Hemphill, and P. G. Mahlberg. 1981. Interrelationships of glandular trichomes and cannabinoid content. I: Developing pistillate bracts of Cannabis sativa L. (Cannabaceae). Bull. on Narc. 33:59-69. 9. Hemphill, J., J. Turner, and P. G. Mahlberg. 1980. Cannabinoid content of individual plant organs from different geographical strains of Cannabis sativa L. (Cannabaceae). Jour. Nat. Prod. 43:112-122. 8. Turner, J., J. Hemphill, and P. G. Mahlberg. 1980. Trichomes and cannabinoid content in developing leaves and bracts of Cannabis sativa L. (Cannabaceae). Amer. J. Bot. 67:1397 1406. 7. Hammond, C. and P. G. Mahlberg. 1978. Ultrastructural development of capitate glandular hairs of Cannabis sativa L. (Cannabaceae). Amer. J. Bot. 65:140-151. 6. Turner, J., J. Hemphill, and P. G. Mahlberg. 1978. Studies on growth and cannabinoid composition of callus derived of Cannabis sativa. Lloydia 41 :453-462. 5. Turner, J., J. Hemphill, and P. G. Mahlberg. 1978. Quantitative determination of cannabinoids in individual glandular trichomes of Cannabis sativa L. (Cannabaceae). Amer. J. Bot. 65:1103-1106. 4. Turner, J., J. Hemphill, and P. G. Mahlberg. 1978. Cannabinoid composition and gland distribution in clones of Cannabis sativa L. Bull. on Narc. 30:55-65. 3. Hammond, C. and P. G. Mahlberg. 1977. Morphogenesis of capitate glandular hairs of Cannabis sativa L. (Cannabaceae). Amer. J. Bot. 64:1023-1031. 2. Turner, J., J. Hemphill, and P. G. Mahlberg. 1977. Gland distribution and cannabinoid content in clones of Cannabis sativa. Amer. J. Bot. 64:687-693. 1. Hammond, C. and P. G. Mahlberg. 1973. Morphology for glandular hairs of Cannabis sativa L. from scanning electron microscopy. Amer. J. Bot. 60:524-528.